Suite Rental: Click here for premium seating opportunities available through the Oklahoma City Thunder. 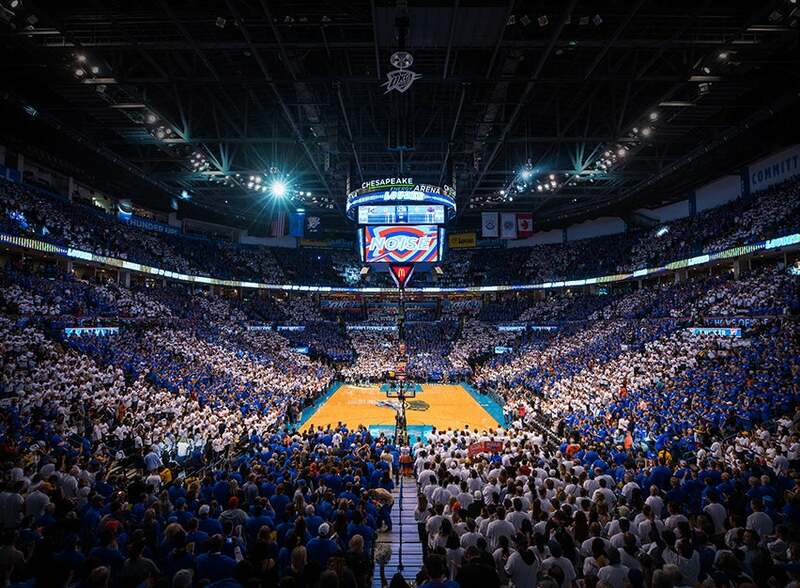 Single-game tickets for Thunder home games are be available starting Tuesday, September 25 at 10 a.m. In an effort to accommodate as many fans as possible, tickets will be limited to six seats per game, based on availability. Due to the tremendous support we have received from our Season Ticket Members, tickets will be sold on a first-purchased, first-served basis and will be extremely limited. The majority of available tickets will be located in the Love's Loud City Balcony and Love's Loud City Mezzanine sections. Please be aware that after verified tickets are purchased, the QR code, which validates and guarantees entry into the arena, will become active 24 hours prior to each game. In an effort to minimize ticket fraud for all Thunder fans, mobile entry or Will Call will be the only delivery options at checkout. Can’t wait to purchase tickets to games for the upcoming season? You can purchase tickets from other fans starting no later than Tuesday, August 14. All tickets purchased through this site will be official, fast and secure, guarantee your admission into the arena and verified by Ticketmaster. Prices for resale tickets are determined by the seller and not the team and a 20 percent service fee for all resale tickets will be added to the cost of each ticket at checkout. Fans interested in purchasing group tickets for 15+ fans or for suite rental options, please call 405.208.HOOP or email grouptix@okcthunder.com for more information. For fans interested in full-season tickets, the Thunder has created the True Blue Club as a means to help interested fans reserve their spot in line for full season tickets when they become available. If you would like more information on how to reserve your spot in line, click here.